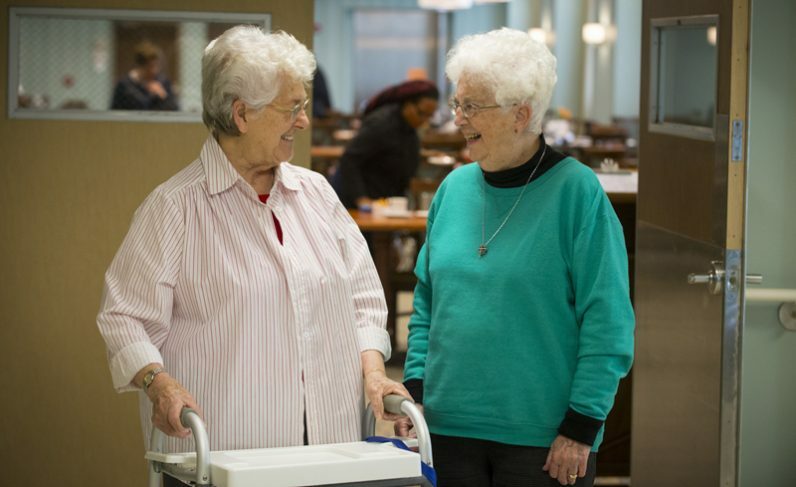 The Sisters of St. Francis in Philadelphia received a grant to purchase a stair lift chair. The Sisters of the Order of St. Basil in Jenkintown got a grant to replace exterior doors. 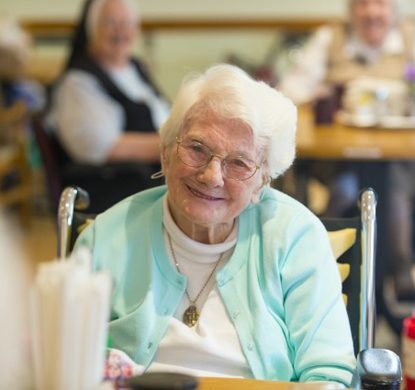 The Sisters of Mercy in Merion received a grant for adoptive technology for the elderly. The Immaculate Heart of Mary Sisters in Immaculata received a grant for mechanical lifts. These are just four of the 77 grants made nationwide in 2018 by SOAR! (Support Our Aging Religious), which was founded in 1986. The grants, which at this time total about $1.2 million annually, are designed to assist religious congregations with the immediate needs of their elderly sisters. 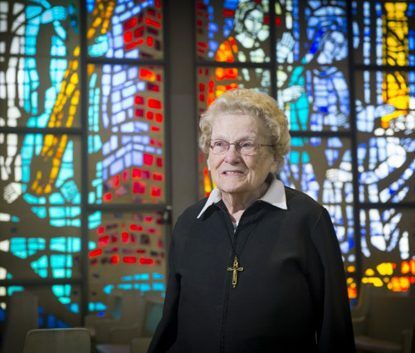 “I’ve been with SOAR for nine years,” said Sister Kathleen Lunsmann, president of the Washington, D.C.-based organization and herself a member of the Sisters, Servants of the immaculate Heart of Mary in Scranton. “The sisters are getting older every day and they need help every day,” she said. “For every sister under 60, there are four sisters over 60. The average age of those helped by SOAR! is 83. It is no secret that the number of Catholic women religious saw a rapid decline from a peak of more than 181,000 in 1965 to 43,000 in 2017, according to National Religious Retirement Office statistics. That number will continue to fall because more than three-quarters of the nuns in the United States are now over the age of 70. Today, because of societal changes, not many young women are choosing to enter the convent. The same holds for male religious of course, but the greater challenge is with women religious. Historically, when religious vocations were plentiful, elderly sisters in retirement were supported through a portion of the earnings of the younger sisters of their congregation working in schools, hospitals and institutions. Unlike diocesan priests, the care of elderly religious does not rely on mandatory financial assessment of the parishes, which among other items finances care for the retired priests. The religious congregations themselves never anticipated the dramatic decline in new vocations in more recent times which has caused a severe decline in the number of working sisters. Religious sisters of course took the three vows of poverty, chastity and obedience. They took these vows very seriously, and in the past so did the bishops and pastors who contracted their services. Consequently, the stipend the sisters received for their labors might have taken care of immediate needs but were hardly enough to establish an adequate retirement endowment for the future. To help compensate for that in 1988, two years after SOAR! was founded, the United States Conference of Catholic Bishops instituted an annual December collection for retired religious and in the first year distributed $20,625,512 to the women’s congregations. Since then contributions to the collection have increased only minimally in most years. But contributions were down in 2017 and they have not kept pace with inflation. The 2017 distribution to the women’s congregation was $18,738,984. To have kept pace with inflation over the past 30 years it would have needed $44,931,000. While it was not always the case historically, today retired religious are entitled to Social Security benefits. However, because their wages were so modest and their payment into the system relatively small, the average Social Security payment to a sister at this time is about $600 monthly, according to Sister Kathleen. This contrasts to the average Social Security retirement benefit nationally of over $1,400 monthly, according to government statistics. Learn more about SOAR! via email at info@soar-usa.org, at the website SOAR-USA.org or call 202-529-7627. My heart breaks to think that these wonderful women who have served God have to worry about how they will be taken care of in their old age. The Church seems to have found an awful lot of money for sexual assault settlements. Oops, I forgot, the men still rule, and the women just serve. I wonder what the Blessed Virgin would say. I am saddened having learned I was 2 years too old to become a sister. My life goal was to raise my children and never marry again when my husband died. Before the tragedy in 2014, I knew it was time to go to the convent to live out the rest of my life giving to those who have less than I. It hurts my heart to read the decline of novices. Being 57 yo now, my chances are nill. I am available to help in any way I can to care for our aging sisters. It would be as close to spending my time in the presence of the women who have devoted their entire lives helping, educating and caring for the infirm. Brings back memories of cleaning the convent in exchange for piano lessons.